Raw food eating is one of today’s hottest dietary trends. So does this mean you should pause and think twice before obliterating the nutrients in your food? Fear not – on the scales of health, there is little to be concerned about. Cooking food is something we have done since the first caveman threw a mammoth steak on the fire. While it is true that cooking does cause chemical changes in food and a loss of some nutrients, it is a clear case of being alert and not alarmed. Cooking food can increase its digestibility, meaning you will get more nutrients out of it. 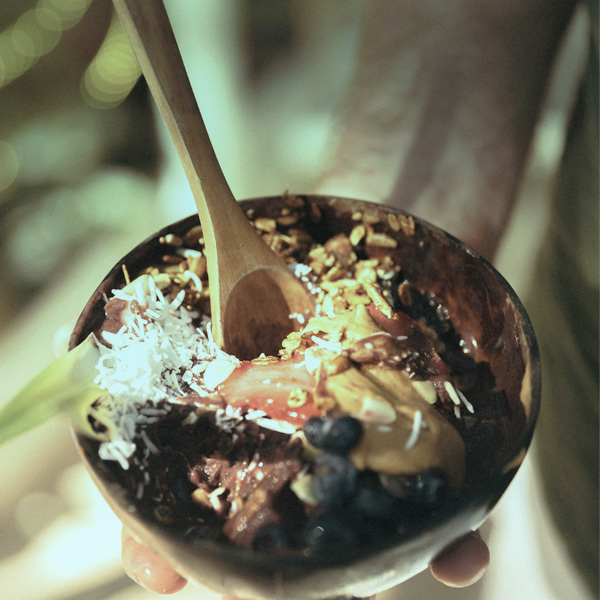 Dr Tim Crowe discusses all things raw food nutrition. The principle behind a raw food diet is that cooking food destroys the natural enzymes and nutrients that would otherwise give us optimal health. A raw food diet is almost entirely plant-based and includes fruits, vegetables, nuts, seeds, grains, vegetable oils and juices. Now on the pro side for a raw food diet, it means if you are currently eating a lot of processed food, then switching to raw food will be a clear nutritional win. So that gets a big tick. Unquestionably, there are many benefits to eating plenty of fruits and vegetables. These foods are high in nutrients and fibre and low in kilojoules. But is raw superior to cooked? A review of 28 research studies found eaters of both cooked and raw vegetables had a lower risk of cancer compared to people who did not eat many vegetables in the first place. Take the nutrient powerhouses of beans and lentils. Legume-based diets have many health benefits including the prevention and management of obesity, heart disease and more. Cooking can also destroy some of the anti-nutrients found in foods that bind minerals in the gut and interfere with absorption. So the big question: just how much of the nutrients in food do we lose when we cook it? The United States Department of Agriculture have compiled a detailed table of nutrient losses for 16 vitamins and eight minerals from 290 foods using a variety of cooking methods. A quick glance at the table will show you that most minerals are unaffected by cooking. It is really only vitamin C, folate and thiamin that stand out as being the main nutrients lost. Citrus fruits are an excellent source of vitamin C. You will find lots of folate in leafy green vegetables, avocados and bread (which is fortified with folic acid). Vegemite is packed with thiamin and because of fortification, bread contains lots of it too. Fresh will always be best. Frozen vegetables are also an option to consider as they are blanched and frozen very soon after picking, effectively “locking in” nutrients. Food is much more than just the essential vitamins and minerals. There are hundreds of bioactive compounds found in plant foods that have favourable health benefits. These bioactive compounds can serve as antioxidant and anti-inflammatory agents and have anti-cancer and antibacterial roles as well. Cooking losses of bioactive nutrients are considered small. In many cases, cooking actually increases the levels of some of these substances. That’s because heating food breaks down plant cell walls so they can release more of the nutrients. A good example is from the many studies that have shown that levels of the beneficial antioxidant, lycopene (which gives foods like tomatoes their red colour) is much higher in cooked tomatoes than in uncooked tomatoes. The reason why is that the heat breaks down the plants’ thick cell walls, making more of the nutrients available to absorb. A study from The British Journal of Nutrition found that people who followed a raw food diet had normal levels of vitamin A and relatively high levels of beta-carotene, but lower levels of lycopene. Then there was the report from Journal of Agriculture and Food Chemistry that found that boiling and steaming better preserves antioxidants in carrots, zucchini and broccoli compared to frying them. In all cases though, antioxidant levels increased because of the cooking method compared to the raw state of the food. Though it is not all good news about cooking as some research shows that some vegetables such as broccoli could have better health benefits raw rather than cooked. What to do? Lightly steam so it’s cooked but still crunchy. This seems to minimise sulforaphane losses. So what are the best ways to you make sure you get the highest retention of nutrients during cooking? The three keys are water, temperature and time. As temperature, cooking time, and water volume go up, so too do nutrient losses. If you can, try steaming rather than boiling as this helps to cut down on nutrient leaching. Or if you do boil, try and reuse the water in the dish. While your ingredients are steaming, jump into one of our online classes, they range from 60 to as quick as 5 minutes.